This is fantastic news for all online casino players! Casino Room has just launched a brand new welcome bonus offer and this one is something for the record books! New players will get their hands on this incredible Multiple Option Welcome Offer which includes 50 No Deposit Free Spins on sign up (available in 10 different video slots) and no less than three different bonus options on the first five (5!) deposits! This means that there are 15 different bonuses available in total and guess what…option one on your first deposit is a 500% deposit match! 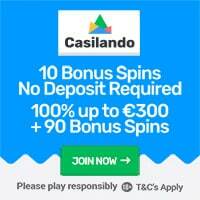 Click here and join Casino Room right NOW and enjoy 50 No Deposit Free Spins and Multiple Option Welcome Offer! Start with 50 Free Spins directly on sign up – No Deposit Required! If you’re not a member of Casino Room yet, then make sure you become one. As soon as you have completed a successful account registration you will receive 10 free spins, available on 10 different video slots, every day – for five consecutive days! The video slots that you can play your free spins in are Butterfly Staxx, Twin Spin, Gonzos Quest, Aloha! Cluster Pays, Joker Pro, Jackpot 6000, Guns n Roses, Jack and the Beanstalk, Pyramid – Quest for Immortality and Dazzle Me. If you’re located in Canada, you need to play your free spins in different slots: Lucky 7, SugarPop, Mega Gems, Boomanji, Fruit Zen, Pinocchio, Good Girl/Bad Girl, Mega Glam Life, Treasure Room and Mad Scientist. CLICK HERE AND BECOME A MEMBER OF CASINO ROOM WITH 50 FREE SPINS – NO DEPOSIT NEEDED! 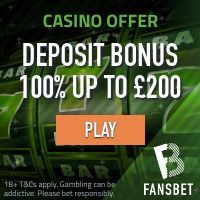 The bonus match percentage, bonus and free spin amounts, qualifying deposits and wager requirement differ from one bonus to another and it may also differ from one country to another, depending on where you’re located. However, deposits made using Neteller or Moneybookers does not qualify for any of the 15 welcome bonus alternative. Check out the bonus structure for some of the countries here below. Click here and find all details on the bonuses in different countries. Read enough? Click here and join Casino Room right NOW!